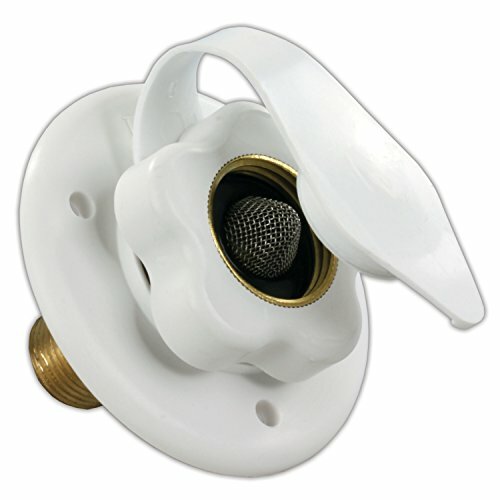 The JR Products 160-85-A-26-A City Water Flange is a direct OEM replacement lead-free check valve with 1/2" MPT. UV and impact resistant. Cutout diameter: 1-1/2". Outside diameter: 3". Valve depth: 1-11/16". ☛ Cutout diameter: 1-1/2"; Outside diameter: 3"; Valve depth: 1-11/16"